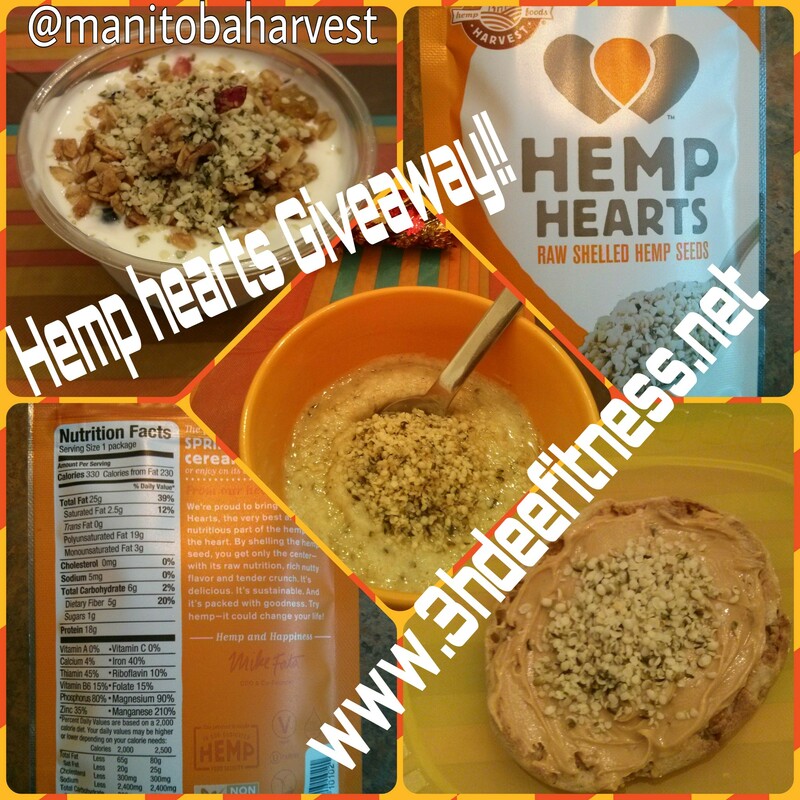 Manitoba Harvest ‘Hemp Hearts’ Review & Giveaway!! 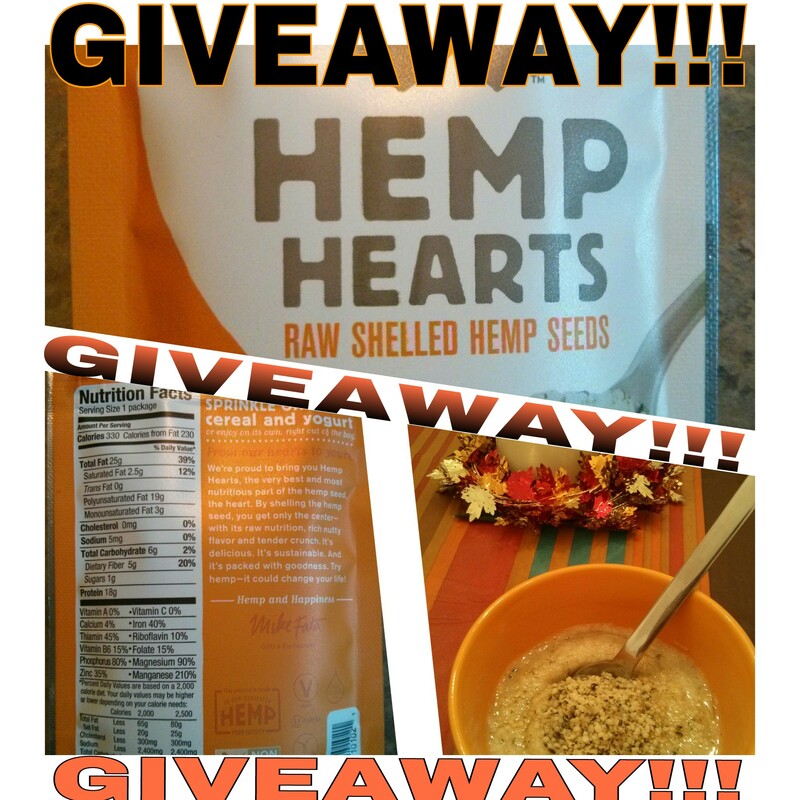 I will be sharing a review, a tasty recipe & other tasty ideas using Manitoba Harvest Hemp Hearts. Hemp hearts are raw shelled hemp seeds. Complete vegetarian protein, all natural, whole-food made from ONE ingredient. It has a slightly nutty taste, similar to a sunflower seed or pine nut. I personally think it has a smokey nutty flavor. 🙂 There’s no need to cook Hemp Hearts since they are ready to eat straight out of the bag, making them easy to incorporate into your meal planning. 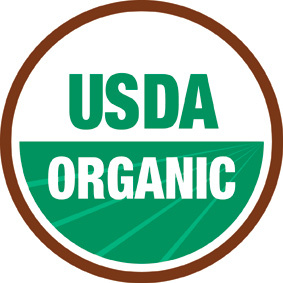 Hemp Hearts come in Natural or Organic in a variety of sizes. The Natural comes in bags of 2oz, 8oz, 1lb & 5lbs or a box of singles of .9oz packs. 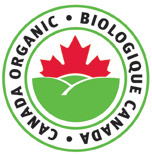 The Organic comes in bags of 7oz, 12oz, & 5lbs. You can purchase Hemp Hearts from the website www.manitobaharvest.com or in your local Health Food Stores like Sprouts or Whole Foods. Prices range from $2.99 up to $70. 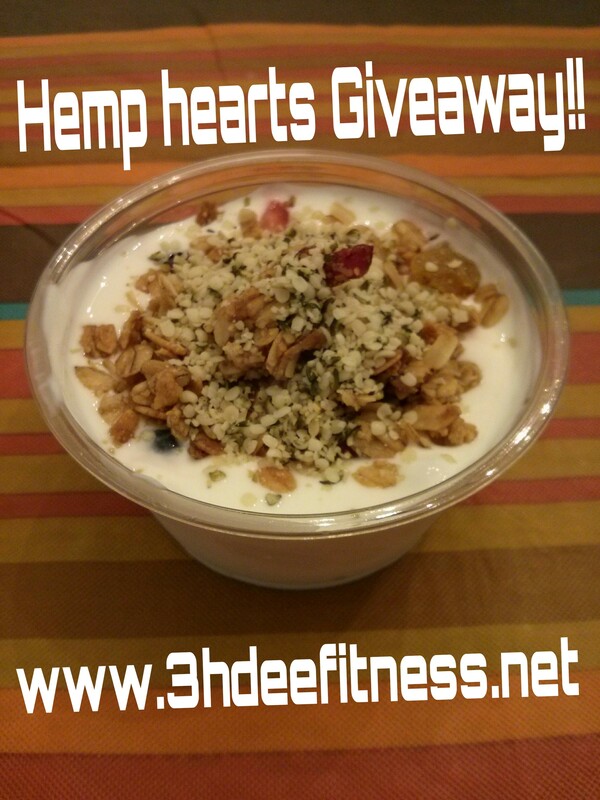 The 2oz bag of Natural Hemp Hearts has 330 calories, 230 calories from fat with 25 grams total fat. Per 30 grams (2 Heaping Tablespoons) serving, Hemp Hearts contain 10 grams of plant-based protein and 10 grams of omega 3 & 6. They also contain 181mg Magnesium per 30 grams serving. 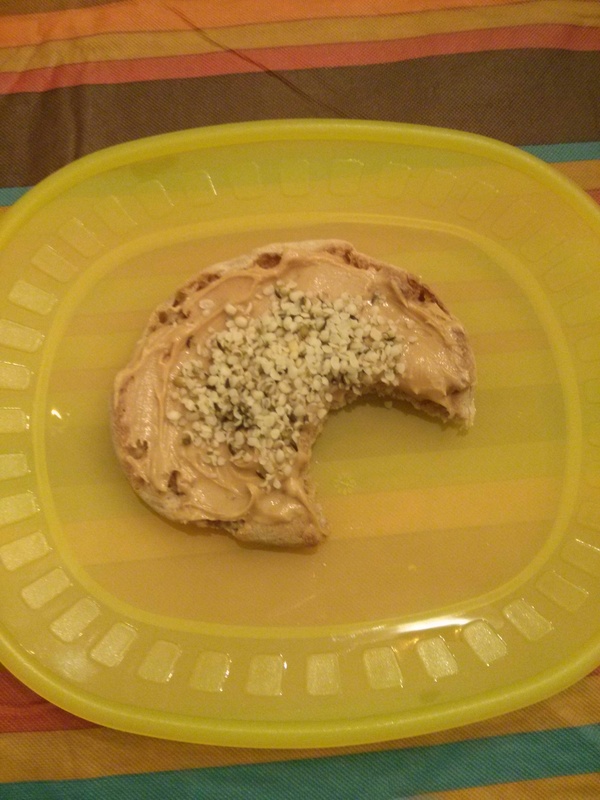 Hemp Hearts have more protein and omegas & less carbs than the same serving of chia or flax. 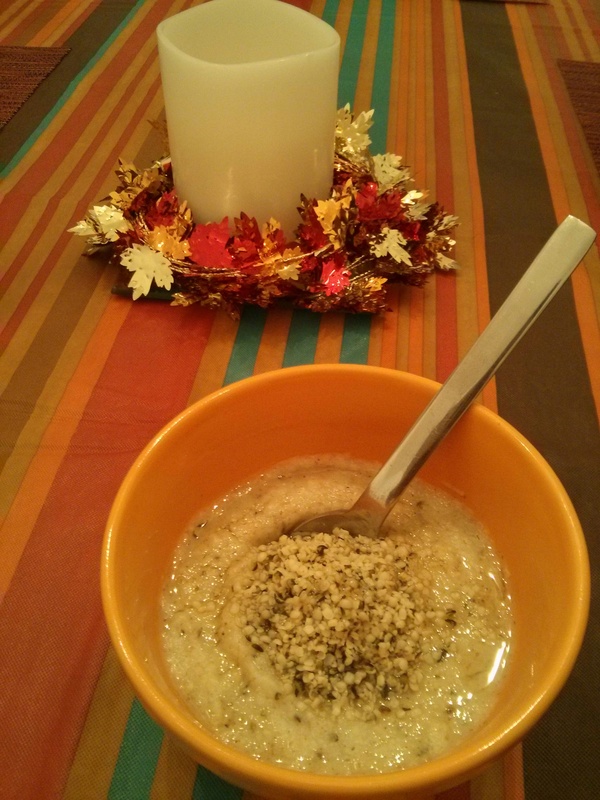 Warm milk on stove, add cream of wheat, Hemp Hearts and honey. Whisk frequently until desired thickness is achieved. Yield: 1 serving ~ ENJOY! Now the best of the best… THE GIVEAWAY!!! CLICK THE LINK ABOVE TO ENTER!!! Open to US and Canada residents. One prize per winner please. If you win this giveaway, and have already won another prize from Manitoba Harvest through another blog, please disclose that you have already won so we can choose another winner. Thank you for reading the blog post and for entering this raffle!